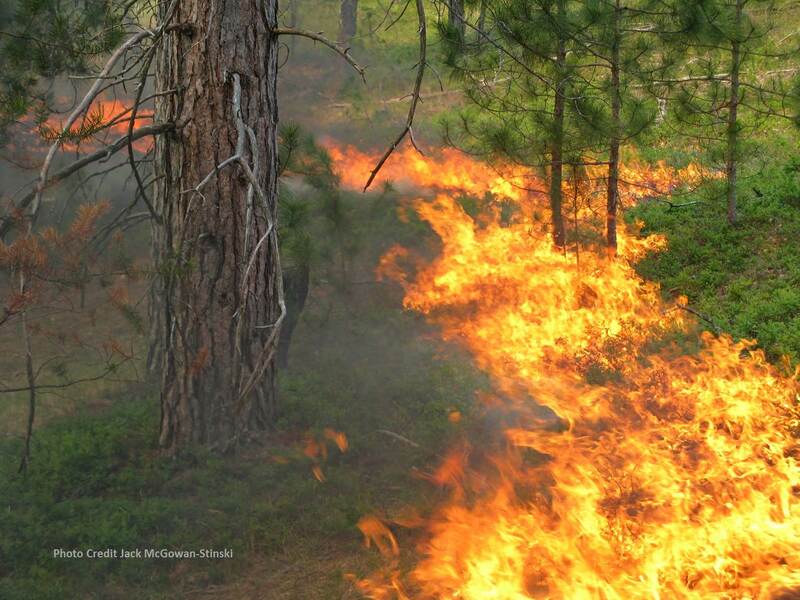 In fire-dependent ecosystems, prescribed burning is often is used to control woody encroachment and to reduce fuels and vulnerability to wildfires. Comparatively, little is known about the effects of prescribed fire, particularly the cumulative effects of repeated prescribed fires, on tree growth and its vulnerability to drought. The main objective of this study was to determine whether repeated prescribed burning impacted tree growth and growth responses of overstory red pine to drought. Based on dendrochronological data, we examined growth responses before and after prescribed fires, and during and after known drought events occurring over the past 40 years in a Pinus resinosa forest in northern Minnesota, USA. Our results suggest that there were negative effects of prescribed fires on tree growth and drought vulnerability during the experiment, but impacts ceased soon after burning discontinued in the experiment. Repeated burning fostered structural and compositional complexity in the long-term, underlying the potential of this management tool to meet restoration targets for this forest type. However, these results highlight the need to understand and evaluate growth responses of trees in stands that are prescribed burned to minimize possible negative impacts on drought vulnerability.